. 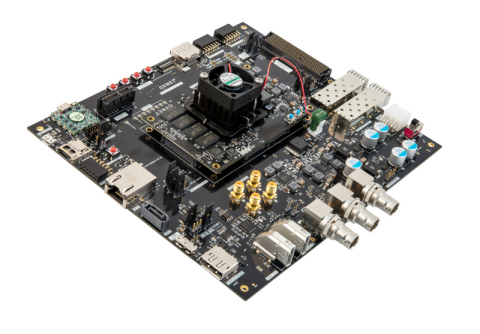 @Avnet releases the UltraZed-EV Starter Kit, the latest addition to Avnet’s Zedboard portfolio of modules and peripherals supporting customer product development leveraging SoC technology from Xilinx. PHOENIX--(BUSINESS WIRE)--Avnet (Nasdaq: AVT), a leading global technology solutions provider, today released the UltraZed-EV™ Starter Kit, providing designers with the core tools necessary to shape the future of advanced embedded vision design and turn their ideas into reality. By bundling the new UltraZed-EV System on Module (SOM) and Carrier Card, Avnet has created a complete platform for prototyping and evaluating embedded video processing systems. 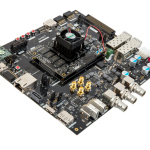 The UltraZed-EV Starter Kit is based on the Xilinx® Zynq® UltraScale+™ MPSoC EV device family and is the latest addition to Avnet’s Zedboard portfolio of modules and peripherals supporting customer product development leveraging SoC technology from Xilinx. The full Zedboard family includes the MicroZed, PicoZed, UltraZed and MiniZed and for applications including embedded vision, IoT, IIoT, voice processing and software defined radio. Now available to customers in the Americas, EMEA, Asia, and Japan, the UltraZed-EV Starter Kit is priced at $1,595. The UltraZed I/O Carrier Card can be purchased for $649, and the UltraZed-EV SOM extended temp and industrial temp versions are available for $999 and $1,199 respectively. For more information, please refer to the UltraZed-EV SOM and UltraZed-EV Carrier Card product briefs on the www.ultrazed.org website. To purchase this kit, visit www.ultrazed.org/product/ultrazed-ev-starter-kit.